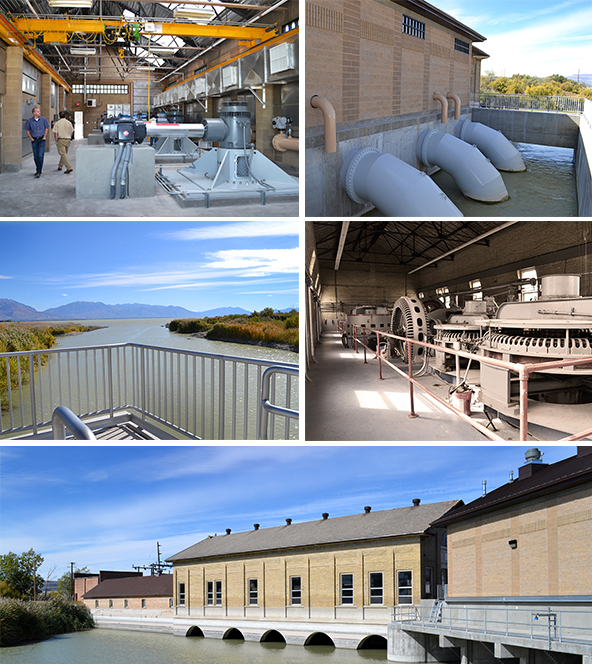 BC&A completed redesign of the existing Utah Lake Pump Station located at the outlet of Utah Lake. The construction of the project was completed in 2013. The historic pump station, which remains in place, is over 100 years old. The new pump station is located adjacent to the historic pump station and currently has (4) operating and (1) future 350 HP vertical propeller type pumps, each with a capacity of 200 cfs, for a total of 360,000 gpm (800 cfs). The project also included design of a new intake and pump house, maintenance shop, and operator’s residence. The project included significant hydraulic 3D computer modeling and a physical model was built and tested at the Utah State Water Research Laboratory to model the pump station intake hydraulics. As part of the project, BC&A completed the environmental permitting and environmental compliance for the project which included Section 7 consultation for the threatened and endangered June Sucker and 404 permitting with the Corps of Engineers and that State of Utah. BC&A also provided full-time construction management. The project was completed in 2013, it was on schedule and under the $6.7 million bid pricing.